Dr. Kimbrell is a 1973 graduate of Vigor High School, Prichard, Alabama. He is a 1976 Phi Beta Kappa Graduate of the University of Alabama and was one of the first students accepted to the University of Alabama's School of Dentistry after only three years of college. The University of Alabama nominated him for a Rhodes Scholarship. He was selected as one of two merit scholars at the University of Alabama School of Dentistry and received 1 of 2 armed forces academic scholarships and later served 3 years of Active Duty in the U.S. Army. 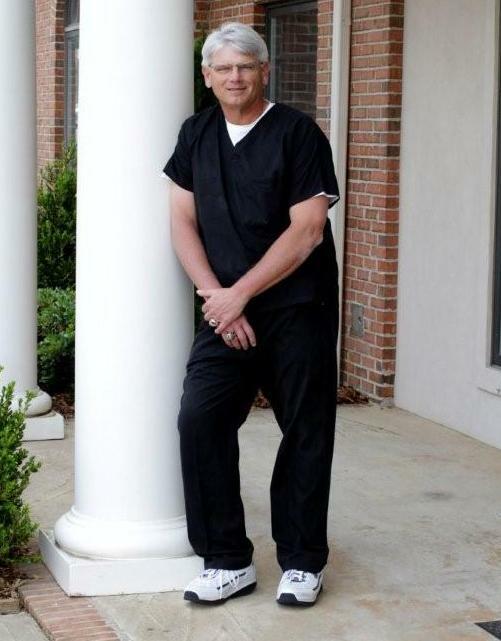 He taught one year as a part time clinical instructor at the Dental School in Birmingham. Dr. Kimbrell was designated as a FELLOW in the International Congress of Oral Implantology in 1997. He has been placing porcelain veneers for 33 years and restoring dental implants for 29 years and has been placing dental implants using computer guided surgery for 6 years. He has been married to Patricia Kay (Khoury) for 39 years and they have two children, Alicia and Steven, Jr.